Jim Henson was a master of his craft. Not only did he give us The Muppets but he brought us the beloved series, Fraggle Rock as well. The show debuted in 1983 on HBO in the US (other stations internationally). The series became a hit with kids and continued for four seasons, with the last season airing until March of 1987. 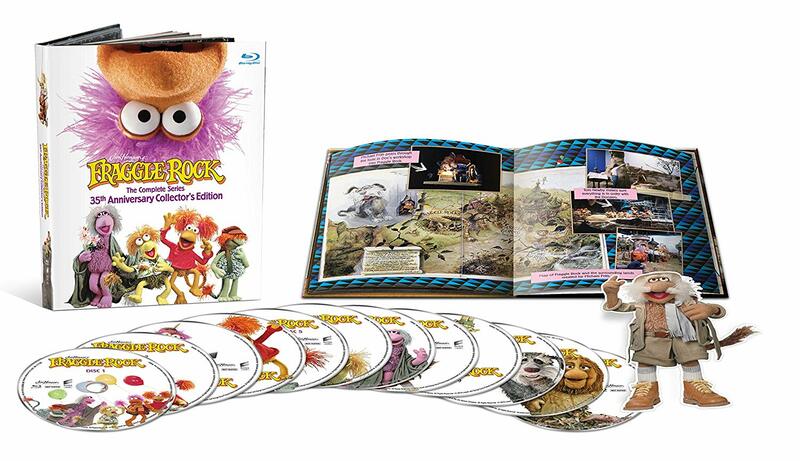 Now, those of us who grew up with the Fraggles can enjoy the series again and introduce them to a new generation with the release of Fraggle Rock: The Complete Series on Blu-ray. This 12-disc release contains all 96 episodes of the series and it's a joy to relive favorite episodes and characters. The "cast" includes Gobo Fraggle, the level-headed main character of the pack who is also an explorer of the various tunnels in Fraggle Rock. His uncle is Uncle Traveling Matt, who explores "Outer Space", which is what the Fraggles call the human part of the world. Next, we have Mokey Fraggle, a free spirit type who is artistic and fairly low key; Wembley Fraggle, who is the high strung best friend of Gobo; Boober Fraggle, a highly intelligent yet often melancholy Fraggle; and Red Fraggle, the fun-loving and lively best friend of Mokey who would love to be in control of more situations like Gobo. The entire collection is housed in digital sleeves which is not the best format to keep the discs scratch free and safe. It also makes the package take up more space on your bookshelf while the protective coating on the Blu-rays make DVD scratches ancient history. While the packing of the Blu-ray states Fraggle Rock is in 1080p it is actually in 1080i with a 1.33:1 aspect ratio. Because the source material was shot on video there was not much Sony could do to clean up the video to meet today's standards. However, while they try their best, that 80s retro video feel and all the artifacting that comes with it still shines through even with the best equipment. Fairing a bit better is the DTS-HD 2.0 audio mix. The dialog is crisp and clear and the songs come through in better quality than ever heard before. Sony and The Henson company made a great archive of one of the best shows of the early 1980s. While compared to today's video/audio standards the set does show it's age. However, for an 80s child like myself, it brings a smile to my face (I also am now taking my traveling Matt Cardboard Cutout that came with the set along with me everywhere I go!). 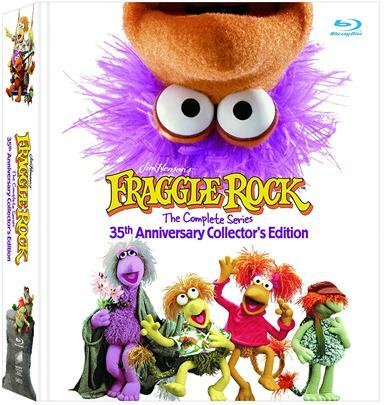 Download Fraggle Rock: The Complete Series from the iTunes Store in Digial HD. For more information about Fraggle Rock visit the FlickDirect Movie Database.